Surinam wood, amargo, kwassi, bitterwood, quassia wood, pau amarelo, pau quassia, quassia amarga, quassia, palo muneco, kvassia, bois amer, bitterholz, gorzkla, pao tariri. 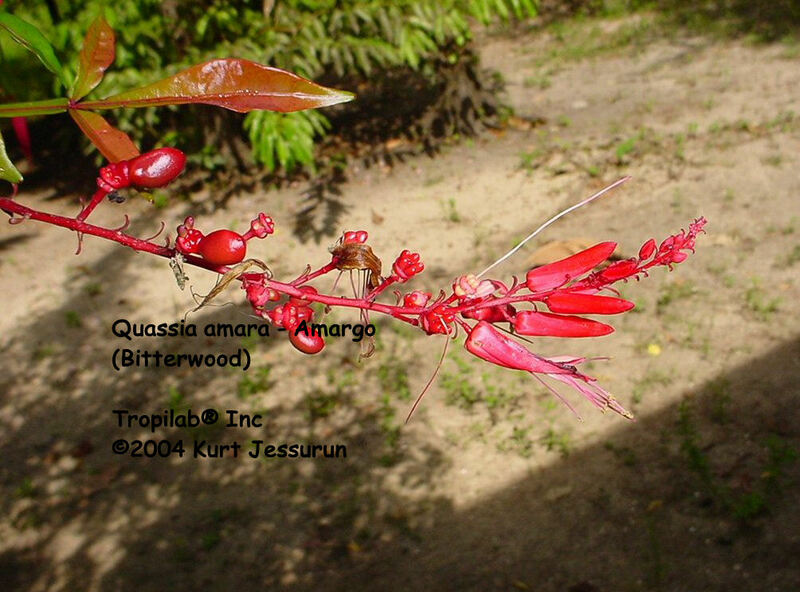 Amargo (Quassia) is a small indigenous tree to Suriname, 6 to 18 feet tall. The evergreen compound leaves mostly consist of 3 to 5 and often 7, uneven feathered, single leaves. 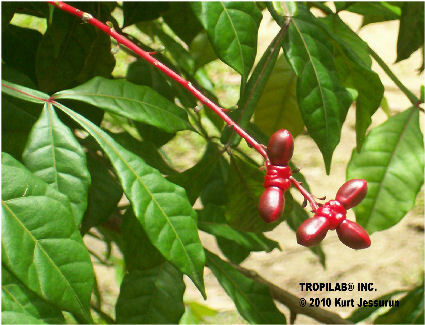 The leaf stalk and - axis are winged, and the stem, stalks and nerves are red. The racemes exist of beautiful small cherry-red flowers; out of each flower arise 5 oval, red-brown fruits which turn black as they ripen. 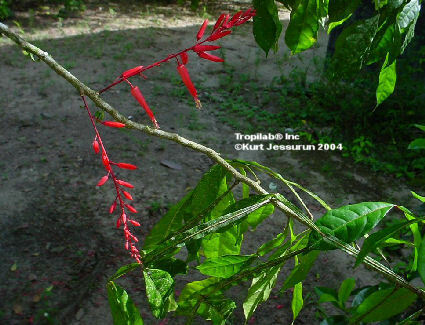 The red fruits contain each only a single seed. 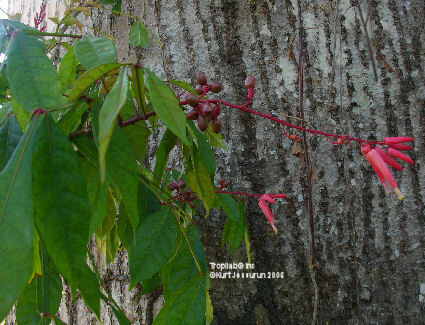 The bark contains many phytochemicals, which are 50 times bitterer than quinine. 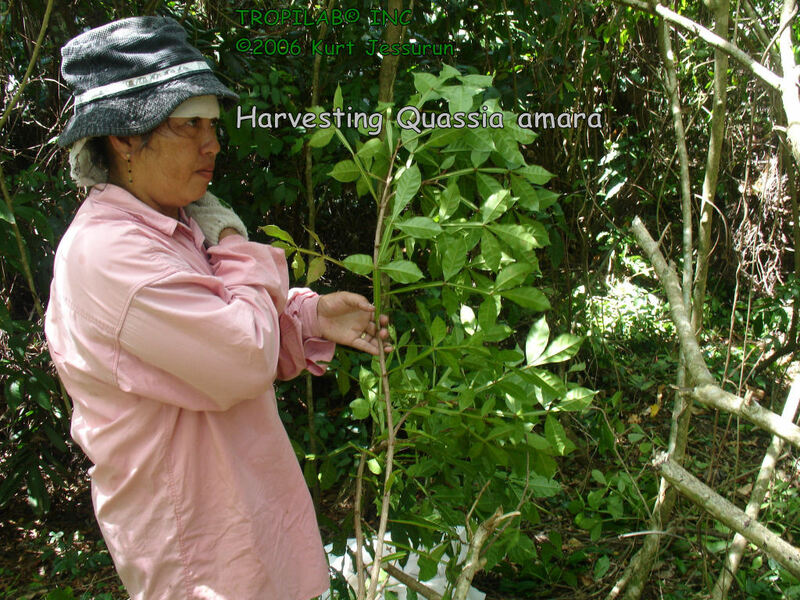 Amargo contains the phytochemical quassin, the bitterest substance found in nature. The bitterness threshold is 1: 60.000! It is utilized for stomach, gallbladder, and digestive problems. Quassiamarin, a phytochemical that has demonstrated antileukemic - and anti-tumorous properties is also found in this plant. 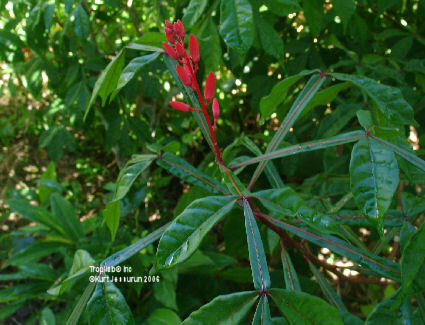 Antibacterial and antifungal properties of this plant are impressive and higher than the drugs Ampicillin (Principen) and Tioconazole (Vagistat-1). Quassia has also prophylactic activity against lice. It is used in cases of anorexia nervosa, is effective in chronic diseases of the liver and has strong anti-malaria and dysentery activity. 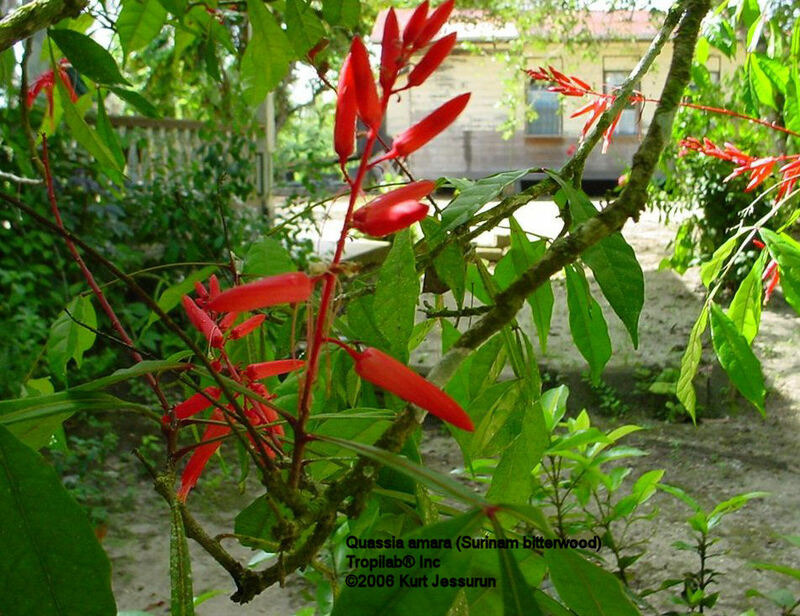 Quassia contains the phyto-chemical simalikalactone; it is just as active as artemisinin, one of the most effective compounds currently on the market used against malaria. (Malaria is the world's most widespread disease). 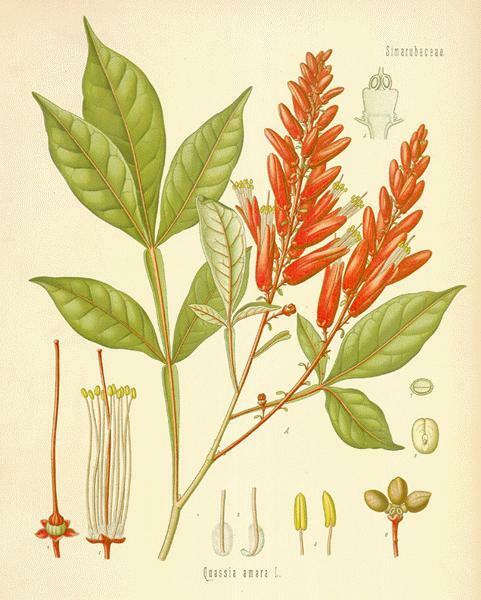 Quassia is generally regarded as safe (GRAS) by the FDA (in doses of 250 to 1,000 mg/kg). For more on the phyto - chemicals and pharmacology visit our: "MEDICINE FROM NATURE page." Visit also our APPLICATION & DOSAGE, CHOLESTEROL -, DIABETES -, HYPERTENSION -, TEA -, and TINCTURE pages. Amargo is used for fever, dyspepsia, blennorrhagia, (excessive discharge of mucus) stomachache, liver disorders, malaria and as a tonic. Also used as an insecticidal, a laxative and appetite stimulant. Full sun, has some drought tolerance. Plant in frost free areas. Buy 6 bottles save 10%; buy 12 bottles and save 15%!